Soy Sauce is ubiquitous in Japan- the Japanese splash it on everything with gay abandon: fried fish, chicken bones, california rolls, potatoes, ice cream, tea. You name it- they condimentize it with soy sauce. 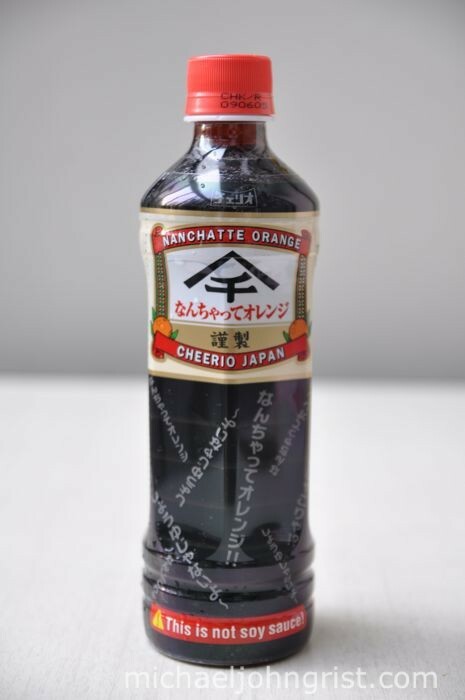 Some soy sauce companies- perhaps following their brethren in the candy and snack world- have taken to augmenting their soy with extra awesome flavors; in this case- Nanchatte Orange, by Cheerio. 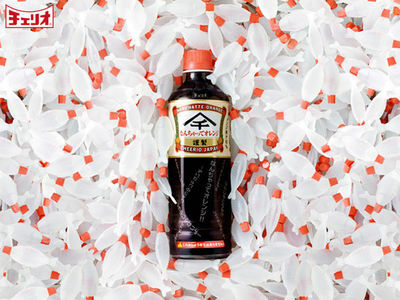 Soy Sauce surrounded by little empty plastic fish- which come in bento lunchboxes filled with a single serving of soy sauce. 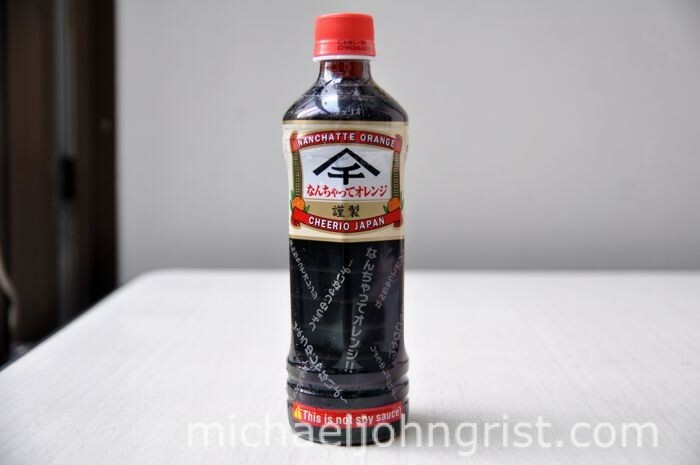 Nanchatte Orange Soy Sauce, though it may at first seem a little frivolous, is actually something of a purist’s delight. Squeezed from traditionally grown Soy fruits (they look a bit like eggplants- but grow on trees) in the Nanchatte region of Hokkaido (the northernmost island of the Japan archipelago), the Orange crystals are added just as the brew begins its 3-month fermentation process. I’d heard the flavor was light, with only a slight fructal tang. I was very much looking forward to giving it a taste test. I decided to test this soy sauce out with some fried fish I picked up from my local delicatessen. 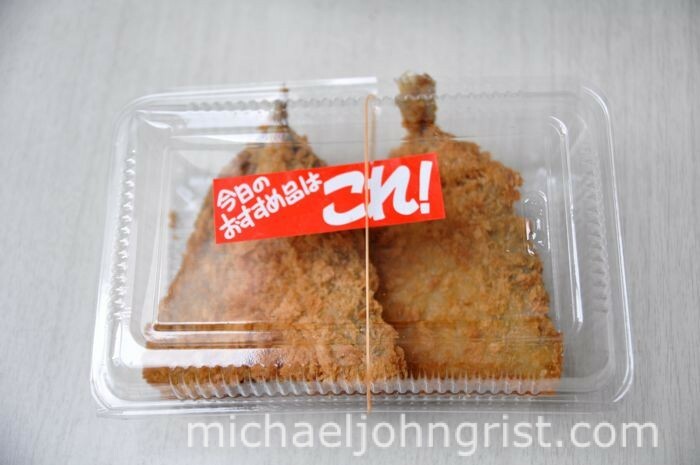 Secondary Soy, Primary Soy, Fried Fish. Bearing in mind recent innovations in Soy technology- I had my Secondary Soy on standby- the little bottle above. 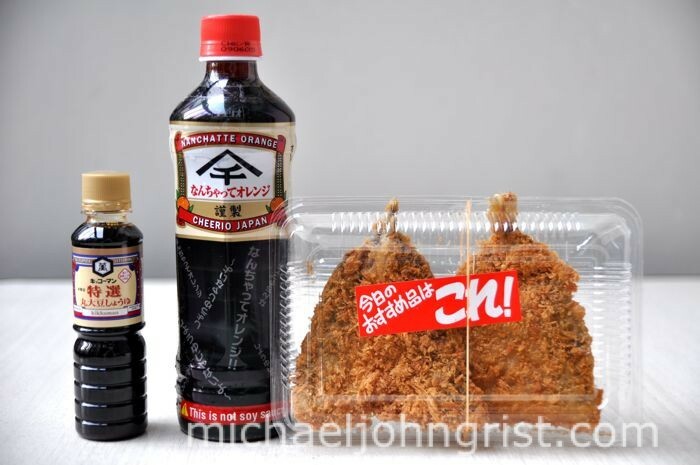 Nanchatte Orange Soy Sauce from Michael John Grist on Vimeo. Ach, real soy sauce! You’ve caught me out! So- I lied about what this non-Soy sauce is. It’s actually orange juice in disguise. Also I made up the Nanchatte region of Japan, and that Soy comes from a fruit. Everyone knows it’s distilled from Soy beans. I’m a terrible person. In fact- Nanchatte means- “Just Kidding”. 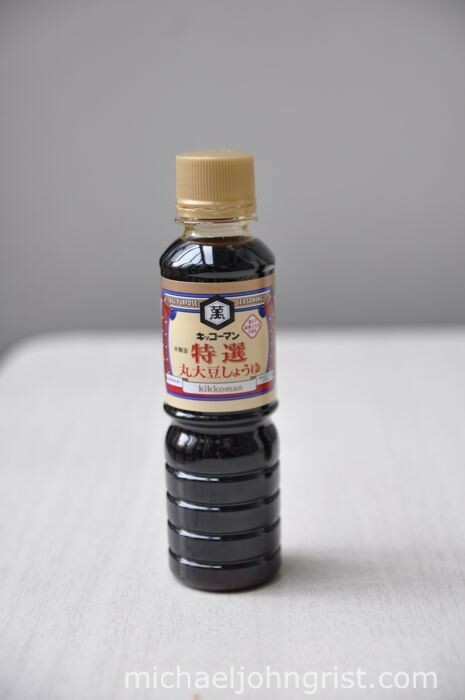 The whole idea is for kids to freak out their parents by apparently drinking Soy Sauce straight- a feat even the hardest Brummie would gag at even the thought of. I once drank the pickle-juice out of a jar of olives. Yuck, disgusting. I won some kind of bet though. I wonder if I could drink straight Soy Sauce? Nanchatte Orange juice tasted just fine, by the way. Sweet and orangey. If you liked this post, why not link to it, or comment? Thanks! I am ashamed to say that I bought that hook, line, and sinker until you actually drank it. Ha ha ha. Well done. Soc’d. Soy sauce with a bit of orange flavor in it does sound really good, though. I wanna see you eating the chicken not drinking the sauce ^^! Deas- Cheers, it hooked me too when I found it in Don Quixote next to the soft drinks. Fifth Dream- I’d drink it, sure. Hao- With or without the cling-film? It’s a delicious drink. Nuff said.